The purse is the perfect size for a little gift or gift card. I held it closed with a little Velcro. The leaves are from the Spring Garden Icons Sticker Sheet. The flowers make me so happy, and I hope the recipient feels the same way! That's it for me today, be sure to keep checking the blog for more Chunky Twine inspiration! So pretty, Kathy! Very sweet! Terrific job. What a great idea for the twine, so very cute! 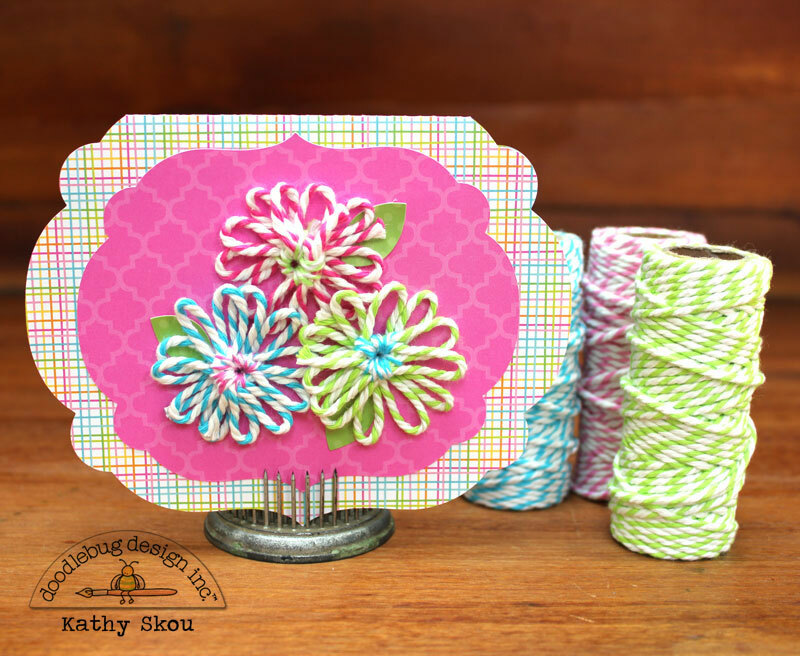 These twine flowers are fabulous, Kathy! I love those chunky twine flowers! They are such a unique and pretty embellishment to add to projects. Love those flowers! That purse is too cute! Kathy - these are just SO BLOOMING cute!! 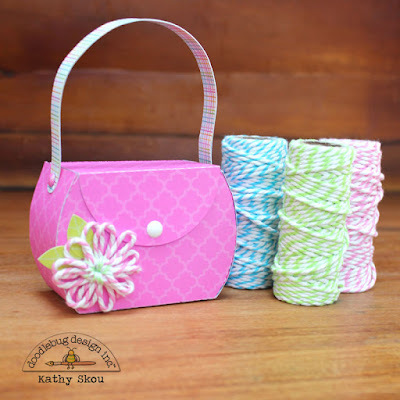 Love how you made flowers out of the twine and put them on your cute purse and the fun card!! Delightful! !